Congratulations to the following Cruise & Travel Members who received awards for their efforts in 2017! 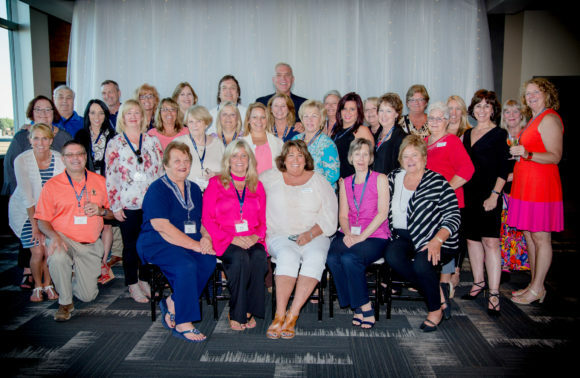 These individuals were recognized this week at our 2018 retreat held in Holland, Michigan. Revenue meaning actual commissions RECEIVED or EARNED in 2017 and each member must have been with us the entire year to qualify for this reward. Great job April, Stacy and Debra on your hard work and success in 2017! We look forward to what you will accomplish in 2018! This is our top honor at Cruise & Travel Experts that is awarded to one of our Members each year at our retreat and is based on a combination of many accomplishments but some include participation in trainings/webinars, attending our functions like the Retreat, annual convention, utilization of the tools that are provided, sales focus and growing their business, sharing of ideas and willingness to support other Members to be successful and just an overall focused business owner with a passion to be the BEST and never “settle” for ordinary! Please join us in congratulating Debra Gordon as the recipient of the 2017 Golden Globe Award! She has attended nearly every training class CTE has held, participated in FAM trips and of course has attended special CTE events such as our Retreats. Debra has also shared various initiatives with other CTE members that they have implemented in their business in an effort to assist in growing their business. We simply couldn’t be more proud of Debra’s contributions not only to her own business but to CTE overall!